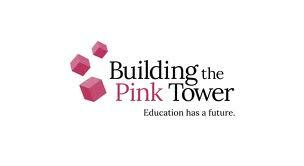 I was absolutely blown away recently by a trailer to a documentary film project in progress called Building the Pink Tower. What moved in me was the profound joy of learning and love of living as seen through Maria Montessori’s eyes. I am so grateful to the creative team behind the film and outreach program for adding its voice and vision to the conversation about the education revolution. Thank you for the words of support. We love being part of a growing community with a vision for education.